Radio silence once again. If you know me, you also know that this is not my usual thing to be this quiet. Lots and lots happening again. Generally, I would never come up with reasons why I did let something get a bit more silent (this page) but this time, tonight, there are plentiful and I am letting them all be. The last five months have turned into a blurr. Many destinations. Workshops. Two cookbooks shoots. Fifty recipes for other clients. A job proposal. An acceptance. A house hunt. A bare bone move (seriously moved with three boxes labeled kitchen, clothes, toiletries and office. Oh and some props, linens, reflectors and strobes...)** And my first day working with amazing talent propping and styling the recipes I will be shooting. A wave of emotions is taking hold of me as I reflect on the years gone by. I am sitting in an empty living room. It's an unsually chilly day for Birmingham, I am told. I have a fire going. Some hot soup on the stove. A glass of wine. This is it. What comes to my mind, very clearly, though is how I would have never imagined the winding roads of this career would take me to this moment. Yet, how everything I did in my work was never by chance but always from a place of hard work and desire of a job well done. How goodness comes to one's own heart by just trusting yourself onto others. How just opening up your guts and heart to the universe gives you ten times the hopes you sent out there. How leading lights of desires, friendships, mentors and aspirations, inspirations lead one to just pack up and go seek a better life for the ones you love. I am not alone. Bill has been the best team mate of all. He fully let me take hold of the direction of this team of two we created 14 years ago. That's big. And then there is the team at work. Mindblowingly creative. I feel completely supported to bring myself into team project. A place where individual growth will happen as I work on many different collaborative projects. Good people working on fun projects always make for a fun day at work. That is one if the reasons I wanted to share this book I photographed a few months ago, Marmalades by Elizabeth Fields (Running Press). It just came out and while I take a little time getting situated in my new life, I wanted to share with you some good old fashioned and modern marmalades recipes by giving away a couple of copies of the book, courtesy of Running Press. All you have to do to participate is to leave a comment on this post. Two winners will be picked at random this Sunday October 14th, midnight central time. The giveaway is open to all, one comment per person, (no anonymous comments please). ** some of you seem to think I permanently moved with three boxes. No! That's all I could bring to Birmingham before flying out of the country for a shoot and coming back directly to Birmingham. I have not been home to Charleston to get my stuff since mid September. If I had the luxury of time and space, you bet I would have taken a couple more....! Oh marmalade...it's so good. And my son's favorite! Yum! Those pictures are amazing. Congrats on the new job! Marmalade is my son's favorite. And sooo good. Thanks for sharing this! I have been reading you, albeit mostly silently, for many years and your work has always been such a wonderful inspiration. I am so happy for you, for all the changes in your life and all the wonderful opportunities that are opening up before you. Here's to ongoing success, doing what you love most! As a long time follower, I have watched you develop your craft and have learned so much from really looking at your photos, Helene. Thank you! This new book with your work looks just lovely ... and delicious. Keep on; many of us appreciate your silences for what they are ... times of change and growth. Would love to win - thanks for that giveaway! I have just recently discovered your blog and am enjoying it so much. This book looks fabulous! Count me in on the drawing. I love to make jams and marmalades, so would love to win. Beautiful photographs! I want to reach out and grab one of those jars. I'm so happy to hear that your move (both to a new house and to a new job) has been successful. The best to you and Bill! Absolutely beautiful,as all your photos!Thanks for the amazing giveaway! I am so happy that this move is going well for you! New adventures are always exciting, even if they give you butterflies in your stomach! What a gorgeous book this is. Your stunning pictures enhance the beautifully written words. Who wouldn't want a book that tells you the history of Marmalade in a chapter? Stay warm in Birmingham! Beautiful font choice for the recipes. Look forward to diving into this. Congratulations Helene! The book looks so interesting and your photos are beautiful, as usual. :) Good luck in your new home and job. Your pictures are inspiring, really love them. What a beautiful book! What a beautiful subject to photograph! Wow, can you see me drooling onto my keyboard? That cookbook looks amazing. I would love a copy! Congratulations on your newest adventures! It has been a pleasure following your blog. Even more grateful for your approachable and easy-to-follow writing style found in your food photography book. Really appreciate your generosity in sharing your knowledge and work with all of us! Best regards to you as you embark on this next journey! Wow, the quince membrillo looks beautiful. I'm such a sucker for fruit pastes. I could eat them forever. This cookbook looks lovely, thank you for having the giveaway. I tried making some jams over the summer, the plum and apricot ones were nice, but the peach one was not, so I will check out this book for recipes. On the other hand, could we, your readers, hope to see your own cookbook sometime in the near future? I bet it would be amazing. This looks amazing! Thanks so much for the opportunity! I've always wanted to do a move like that, but never quite got up the courage. It's a brave thing to do, congrats! I feel like I need some good instruction when it comes to marmalades.I can never seem to find my groove which means I always have a few jars that don't make the holiday gift cut. Eeek. Congrats on new beginnings. Change is such an amazing thing and so exciting. The book looks delicious as always. Cannot wait to check it out, being a fan of marmalades. Earliest memory of marmalade. It's dark outside. Sleeping in the top of a "Devon Conversion" VW BUS camper. A gentle knock on the door and little bag left by the driver side wheel. Inside, made fresh that day from a local bakery, fresh rolls and a hearty marmalade. The memory may be nearly 40 years old, but I can still remember the taste of that marmalade. Great photography. Foodl looks delicious and ready to eat. Yum. Congratulations on the new life, new job, new beautiful book, and the more surprising goodies coming your ways!!! The book looks great! Making me hungry. Very inspiring to see people following their dreams with such gusto! Bravo Helene, and I look forward to this cookbook! Congratulations on the new job, home, etc. Marmalade, my favorite....can't wait to make some, but I really need the recipes. The photos are breathtaking is like I can almost feel the taste of the food. Great job! You definitely have a gift. 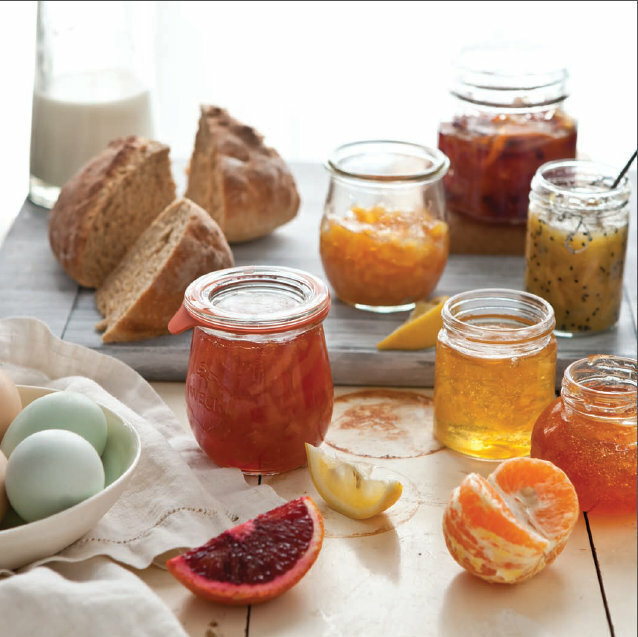 2011 was the year of marmalade, marmalade, and more marmalade. 2011 was probably the year of marmalade burnout since I made almost no marmalade this year. I would like 2013 to be the year of healthy marmalade integration into my preserving. Always glad to get new recipes. "How just opening up your guts and heart to the universe gives you ten times the hopes you sent out there." - wonderful and scary at the same time! Congratulations on your new chapter. The book looks wonderful. I can't wait to try the cherry marmalade.... yum ! This book looks STUNNING. Nothing beats homemade marmalades and jams! Beautiful post. Congratulations on all of your success. This book looks stunning - as do all of your others! While I definitely am not the best cook in the world, your photos are always so beautiful and inspiring that it makes me want to keep trying to find that culinary gene I know is hiding somewhere. Congratulations on your beautiful book design and would absolutely love to add this to my addition of decorative accessories and culinary inspiration! oh, this lovely blog. "Use Real Butter" gave you a credit on salted caramels and I clicked. What serendipity! Thank you for hosting the giveway and lovely stuff! The book looks beautiful! Radio silence can be understood with so much going on. Congratulations! Beautiful photographs as always Helene.. Awesome giveaway - loving that rugelach! This book looks beautiful. I just made marmalade for the first time this year (blood orange and then meyer lemon). So fun! Oh how beautiful is that book and subject! My favorite to boot. Wish I might win. Good luck in your new life places! What a fantastic cookbook - jars of jams and marmalades make such great gifts! It's such a comfort to me when I see my pantry lined with jars of brightly colored things! Really perks up a dreary day. What beautiful photos - the blue eggs and the red fruit. All the best for the future, you'll always fall on your feet and change is exciting! Plus life can only ever be positive when wine, fire and soup are all at your disposal. Good luck! Looks amazing! I just learned how to make scones so this would be the next best thing! Congrats on the new job! Book is gorgeous. Looks absolutely lovely. The pictures are beautiful, the styling is amazing, even the font for the recipes is just right and looks really pretty. The book looks beautiful! I love your blog and always learn so much from you. I won a copy of this book on another site and *Love* it. Making the Regina de Notte cake on this autumn day. Tomorrow the lamb. This will be the cookbook of the season for me. Beautiful book! Your photography is stunning. I'm in love with your photography, it just makes for such food, linens, beautiful-touches table inspiration! I also love the idea of switching from jams to marmalades, they seem more unique! Congratulations! The book looks wonderful and exciting..
Look forward to more of your great works!! Such gorgeous photos! Makes me want to snuggle up in bed with a pile of warm biscuits, butter and marmalade. Yum! Congrats on all the great fortune that has come your way recently! Lovely pictures. I can almost taste the fruity goodness! Marmalade and English muffins - yum! I really enjoy your blog, especially the beautiful photos. Congratulations on this wonderful new job opportunity and I pray that it is a wonderful experience. Good to hear you enjoy your new job. :) Happy to get updates from you to know you're doing well, and busy. I would love to learn how to make old fashioned and modern marmalade! Your pictures are stunning and beautiful, as alwasy. Thanks for a chance to win a copy of this book. Good luck with your new job Helene. The photos from the book are amazing as always. Congratulations on all of the new, and exciting changes in your life. I hope everything goes smoothly for you and that your new home and job are just what you hoped they would be. I love your blog, and will continue to follow along, no matter how long the 'radio silence' lasts :) Best wishes to you and your husband! Helene your life is one big huge whirlwind and I can only imagine what living it must be like! How exciting for all these amazing things to be happening, bigger and better, and movin' on up! I am so happy for all your successes for you and for making them happen and following your dreams and making them realities. I love jam-making, sweet & savory. What a great book idea! Ahh, just in the process of packing up and moving myself. I hate it, lol. It's always bittersweet, these endings and beginnings. Plus, moving itself is SO stressful... I hope that you have some time to relax and take care of yourself. Thanks for sharing the book pages. I love seeing the work of the cookbook shoot finally in print :) What a fun experience the shoot was! The best marmalade I've tasted was in France. Homemade orange marmalade with the rind spread atop a slice of baguette with salted butter or nutella. Simply delicious. I'd love to see if I could ever replicate that experience. Best wishes in your new adventures! Marmalade is my favourite kind of jam. The book looks amazing! Would especially love a low-sugar recipe. Not sure if my last comment was posted. I'd love to win a copy. Thanks for the chance to win. Your work is so beautiful and so inspiring. You are going to ROCK the new job and new location. Best of luck! Looks lovely, hope I win! A book about marmalade.......can it get any better?!?! My dad introduced me to marmalade many years and something we always shared in common. I still think of him when I enjoy the sweet, tart taste. Thanks for bringing back good memories! I want to be you! Lovely photography and good luck in your new adventure. Wow, I love marmalade and have only made it once. Book is beautiful! Cherry marmalade you say? That sounds almost too good to be true! Change usually provides the desire for reflection. I'm so glad your new job is starting well. The book looks lovely. Thank you for the giveaway. Helene, I am so excited for you. I cannot imagine the emotions you are feeling. Good luck and thanks for the giveaway. Cheers to you and yours. I'm glad Birmingham is treating you well so far. The photos from the book that you posted look amazing! homemade marmalades.... perhaps a new family tradition!? I love your work! I've been coming back to read your blog again and again. I love the way you say that opening up your heart to the universe has given you so much! It's such a beautiful manner to approach life that way. And, although I've always read your blog in silence, this time I'd like to write down a big 'Thank you' for sharing! 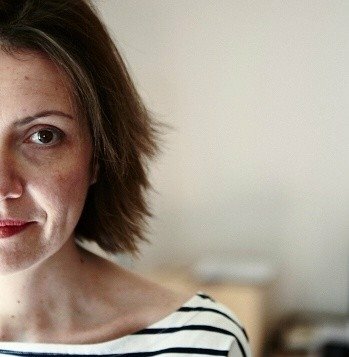 As a (Dutch) foodblogger (tartetaartan.blogspot.com) your creations and stories are an inspiration to me. I found your blog a couple of years ago because of my interest in food photography and because you share your last name with my best friend Michelle Dujardin (http://all-about-zendrawing.blogspot.nl/p/about-me.html). Your beautiful names stand out! You're both creative; maybe you're family?! Good luck with this new chapter in life! While you move on Helene, to pastures new (well done and wishes true! ), your mention of marmalade takes me 40 years back to childhood. New Year, my dad would spend a week cooking up the Sevilles. At 83, he still does! Now, he's joined by me, across oceans in the Med, where my Sevilles are gifted over the garden wall from Maltese neighbours who don't know what to do with the bitter, Arab legacy oranges! Looking back, anchored somewhere solid, is how we best move on in life I feel. Love a copy! Beautiful book that I must have for my bookshelf. Thanks for sharing the recipe too. It's stunning! I would love a copy! Ooooo, this looks lovely! I haven't made marmalade in ages. This just might spark me into doing something about it. Oh My! That book looks beautiful! I love orange marmalade, the only one in my family, and always have a jar in my fridge! My wife is a huge fan of yours and loves your book. I am sure she will love this one as well. Your photos are beautiful! I've wanted to make membrillo for months now, but it's hard to find quinces where I live. As always great pic! I can feel the autumn spirit and granny's table...would I like to get a book? Sure!!! Jams and Marmalades are so fun to makes, and what a beautiful book. Congratulations on the new job and your new adventure! I have to admit that it all sounds so lovely. And I am a bit envious of the adventure of the change! the book looks gorgeous!!! i just started making jam and have yet to make a marmalade, so I would love to win! I love marmalade! Any kind of jam, jelly, or preserve really! I'm not picky! One of the most fun experiences of my life involved taking a marmalade class with 4 friends from work. I would love to win this book to remind me of that time. Your words struck a chord with me: "How just opening up your guts and heart to the universe gives you ten times the hopes you sent out there." I needed that. I sat there, took a deep breath and re-read it a few times. Thanks for helping me let go of the frenzy and refocus on gratitude for a life full and fulfilling. Your compass is set is the right direction and all your life changes will certainly be for the best! I would love to own the book. Beautiful book! I wish you much happiness and joy in your new life! Thanks for the giveaway. Love to win! Love me some Marmalade! If you ever go to Monterey, CA there is the a place called Happy Girl Kitchen you need to go to! Oh yummy....I cannot walk past a jar of marmalade..any kind. Congratulations on your move and new position! Amazing Pictures. The book looks awesome and the recipes look do-able. I am a regular reader and I love your photos. I am absolutely sure I would enjoy this book, but my Mom would love it. So, enter me on behalf of my Mom. Congratulations on handling home and career changes gracefully and gratefully! I so much enjoy your blog and photography. Cheers! I bought this book because you photographed it - and I love making jams and marmalade. I would like to enter to win a copy for a gift. Thank you. Wow, the book looks awesome! The book looks stunning. Marmalades represent colours from my favourite part of the rainbow. As always, dear. Inspired by your journey and your work. Many blessings as you take these next steps and thinking of you. Beautiful photography! I'd love for a chance to win this book, thank you! so inspiring, reading through the list i think how great it all and in such a short period of time. you are doing something right and the universe sees it helen, congrats on all of it. what a beautiful collaboration, marmalade will be at the table on my last supper or the thing i take on a desert island. Congratulations on everything-- the book, the new job, the amazing opportunities. 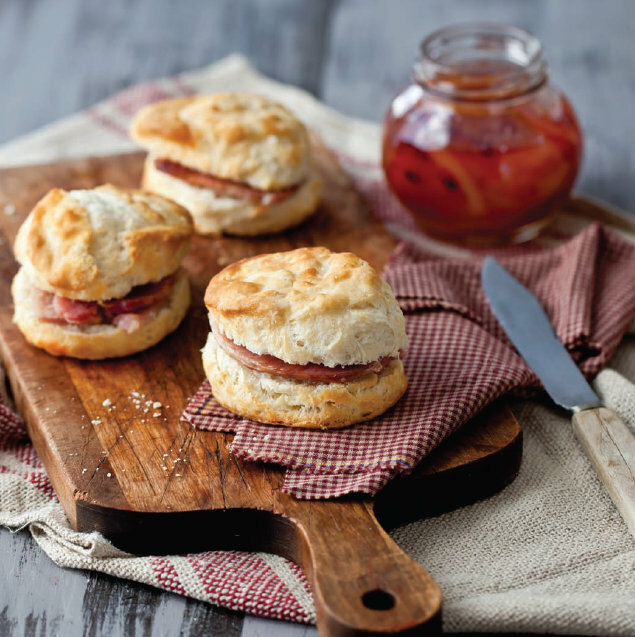 The photographs for the book look simply delicious! Glad to hear that you're doing well--I've missed your blog posts. The book, like everything you do, looks gorgeous! Congrats on all your success! Beautiful! Much happiness in your new endeavors. congrats! I can't wait to see more of your work! I open the page and the (almost) first thing I see is membrillo. That brings all good memories of several months I spent in Galicia (north of Spain). My mother would love it if I figured out how to make her some marmalade. Congratulations on your beautiful book! I would love to learn how to make home made marmalades, especially savory ones....can just taste it with bread and cheese. yum. thanks for offering your book as a giveaway! You are a terrific photographer. I found you through a recommendation from The Prudent Homemaker. I love Tartelette and would love a copy of Marmalade! Maybe it's my British background kicking in, but I adore marmalades. So excited for this cookbook. And your images are just amazing!! Oh wow! my mother is an avid canner, and is always coming up with new and delicious concoctions! She would love this book. Hope your first day was wonderful. Love the book and your blog. So happy do you. I just got your book a few weeks ago and I'm excited to start following you here! I LOVE orange marmalade and would love to learn some other recipes. Enjoy settling in and the continued adventure, Helene. How in the world does one move with only 3 boxes for the kitchen! Amazing. I am always a sucker for marmalade. It's all the Paddington Bear I watched as a child. Pictures are gorgeous as usual Helene! The book looks beautiful! Thanks for the giveaway. I really admire your work, Helene! Many congratulations for everything happening in your life. You deserve it! Wow, gorgeous photos! I love marmalade...grew up with my mom and grandmother making many versions. Now I enjoy it more as a condiment on a charcuterie board, baked with chicken, foie gras or with a slice of Manchego cheese. Cheers! Would love to try the Rugelach recipe! The photos look divine. I'd love to experience in the flesh what I see on the page! Stunning. I would love to experience in the flesh what I see on these pages! I hope your new place turns into home real soon. and I love making marmalades! How interesting the book is, beautiful too. Cherry marmalade? WOW!! I make bitter orange marmalade often, but this sounds amazing! Glad you are somewhat settling in. I'm an old pro at moving. It is never easy! 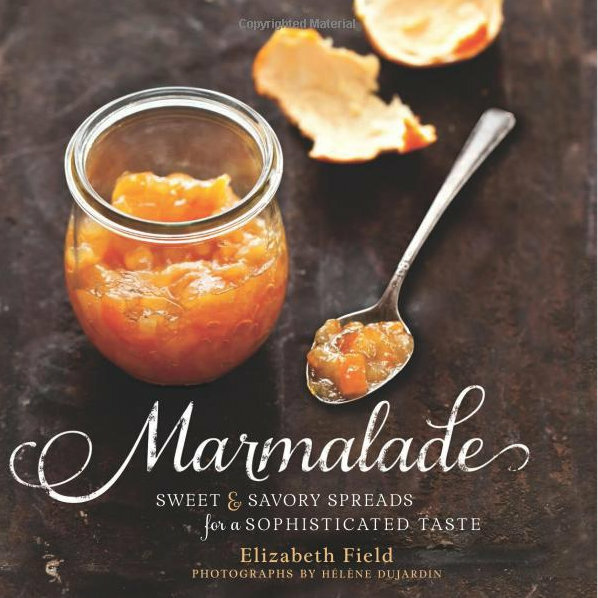 Love the name of the book as marmalade is my favorite jam. Congratulations on the new job and the new house. What a beautiful book! I love marmalade and would enjoy learning to make it myself. This cookbook is beautiful and looks like it's full of amazing new recipes to try out. Lovely giveaway! Gorgeous photos, the book looks stunning! Love your work and your blog/recipes. It is so wonderful to see how your life/career is shaping up. Would love to have this book.Thanks for being such an inspiration! Congratulations on the new job and I wish you much joy. Thank you for the generous giveaway. I love making marmelades and jam and would love a copy to give mine new twist. Thank you! I've recently started making marmalades, have had mostly not so great outcomes. But that's how you learn! Always learning more and looking forward to making a successful batch (or 2, or 5 or 10)! What an absolutely beautifully written and inspiring post - definitely speaks to where I am at right now! I am so glad for how life has brought you to a place of contentment. Wishing you all the very best!